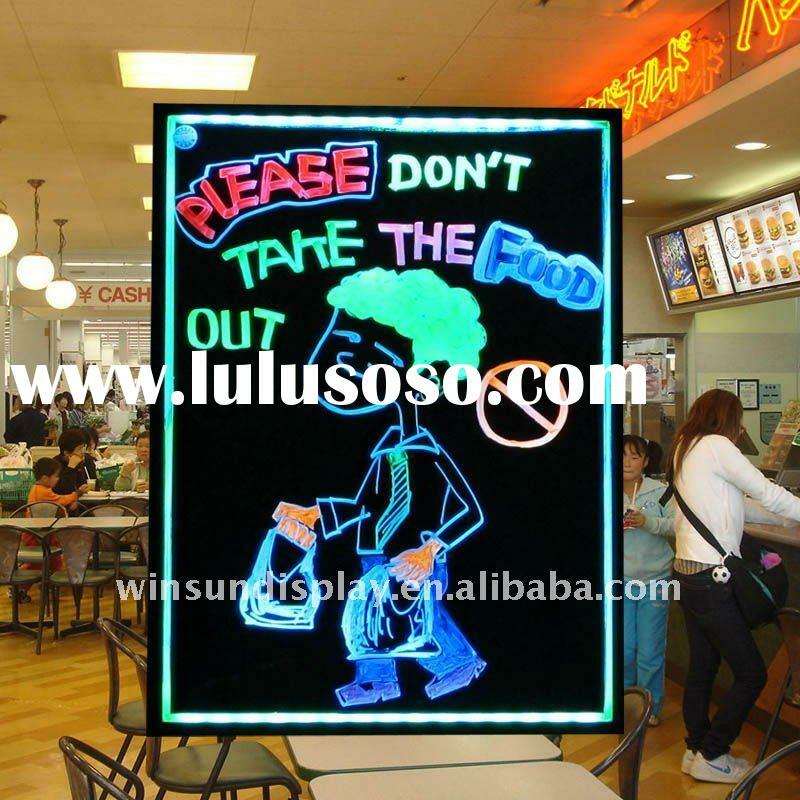 This 2012 Neon lighting magic led writing board is A kind of fashionable new LED advertising board, The board combines sparkling color cycling effects with a high quality flash to allow you to promote your products and services with immediate eye-catching impact. 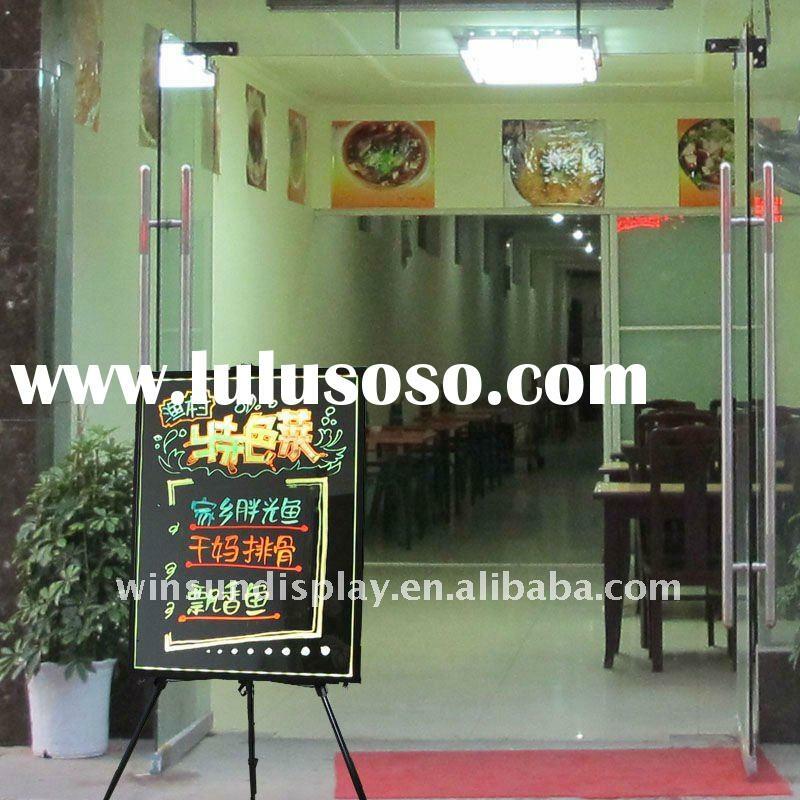 Coffee House, Tea House, Milky Tea Store, Cake Shop, Bread Store, Restaurant and so on. 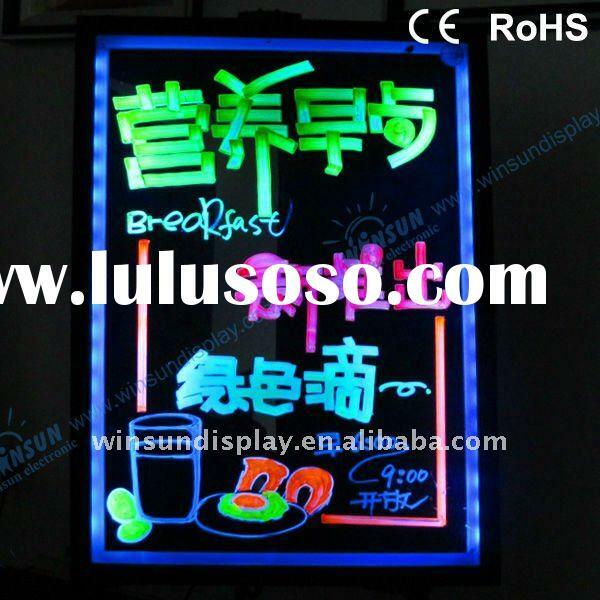 Internet Bar, Pub, Disco Club, KTV and so on. 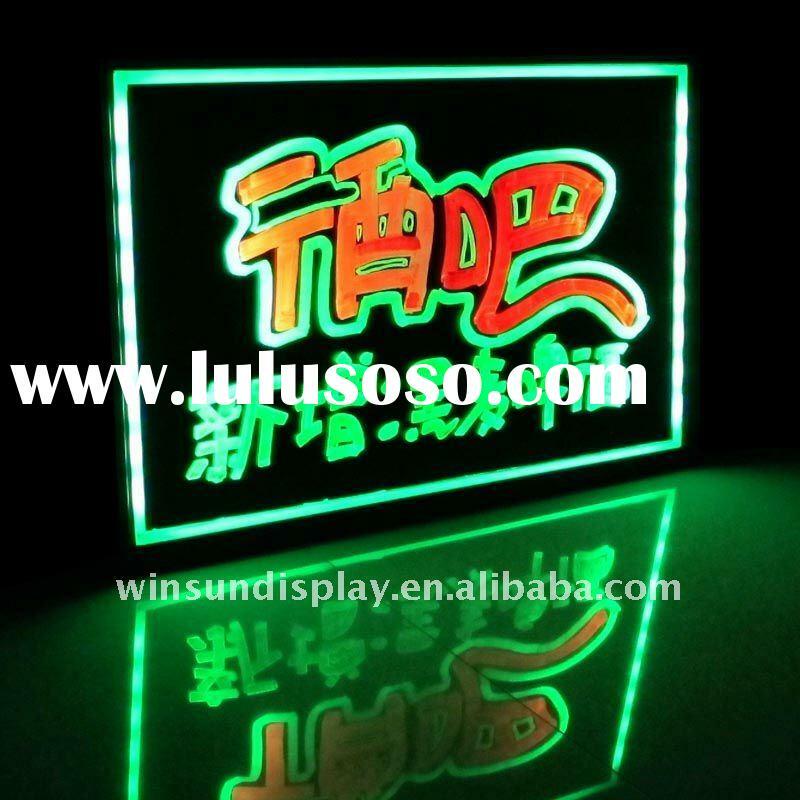 Clothing Store, Shoes' Shop, Accessory Shop, Cosmetics Shop, Glass Store, Supermarket, Decorative Lighting Shop, Flower Shop, Tobacco and Wine Shop and so on. 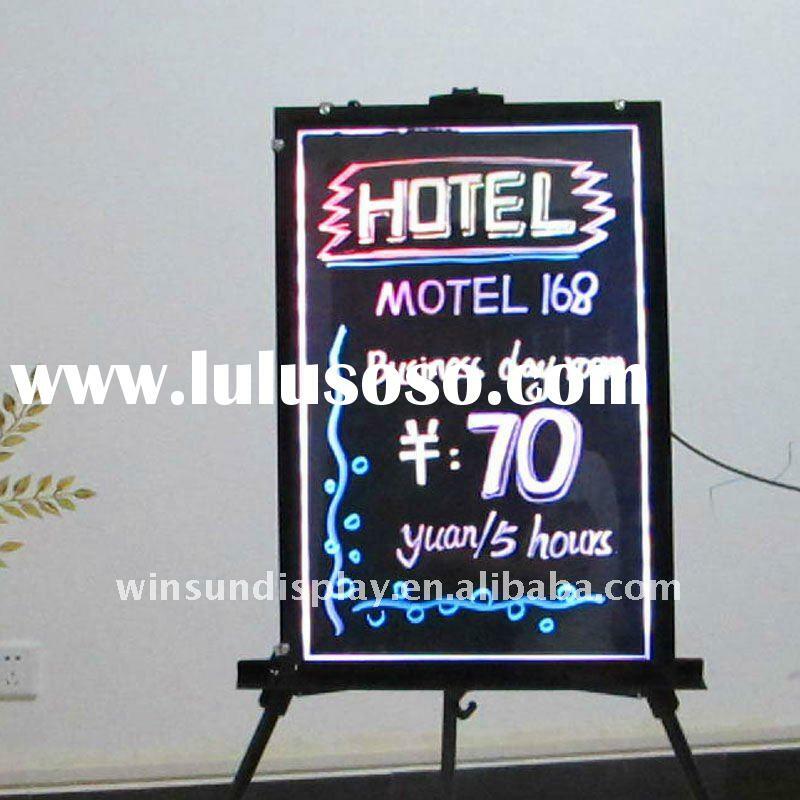 Hotel, Airport, Rail Station, Bus Station, Wharf and so on. 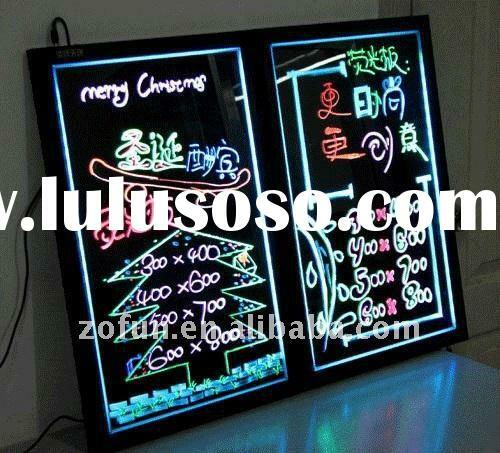 Hair Salon, Barbers, Shower Center, Foot Bathing Center, Beauty Salon, Automotive Beauty Shop, Bank and so on. Book Store, Schools, Stationery Shop, Training Center and so on. Drug Store, Night Market, Automotive Store, Photographic Studio, Church and so on. 1. 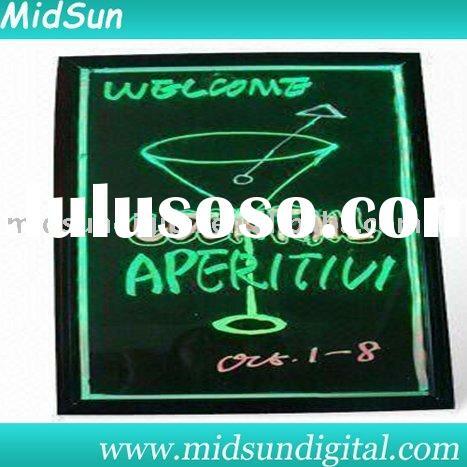 Write or draw with a marker only on the transparent acrylic surface of the Ad board. Use only the Markers we provided. 2. Connect the adapter to the Ad board. 3. Push the mode button located on the lower right hand side to change the mode. 4. 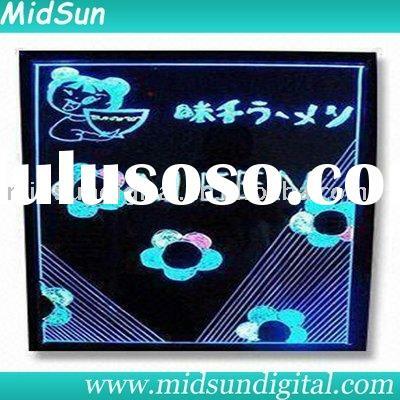 When you erase contents, use the microfiber cloth we provide. 5. 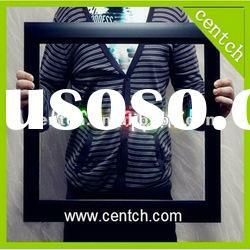 If it is not easily deleted, wet the cloth with a little bit of water and wipe it again. Then clean it one more time with a dry part of the cloth. 6. 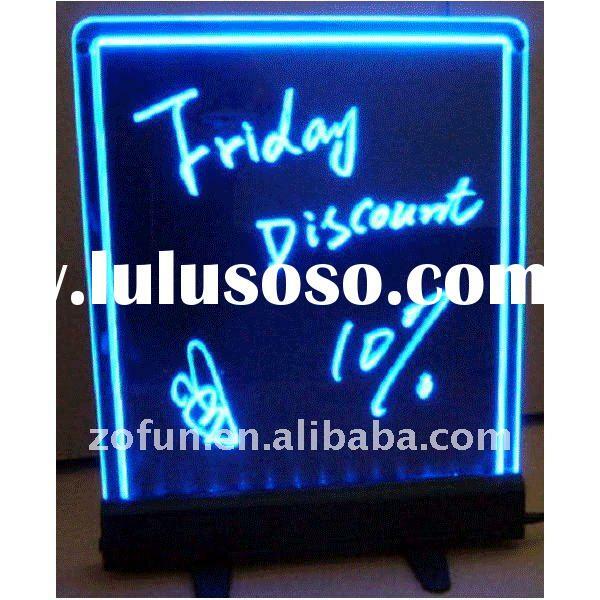 For more information, please refer to the product manual.